Inbound Call Center. Answering Service. What’s the Difference? Knowing this can help you make a better choice for outsourcing customer service. What’s the difference between an answering service and call center? What services does an inbound call center provide? What are the benefits of hiring an inbound call center? 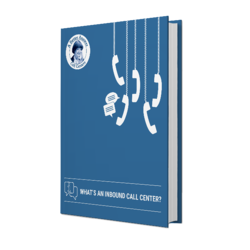 Fill out the form to download the eBook and learn about inbound call centers today!